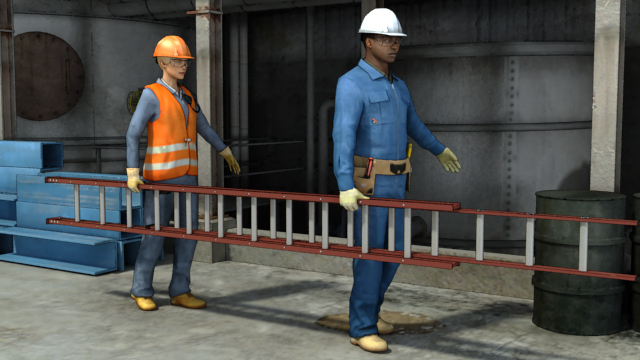 Longer extension ladders require care, and often multiple people, to transport. Don't set a ladder on uneven, or unstable footing. 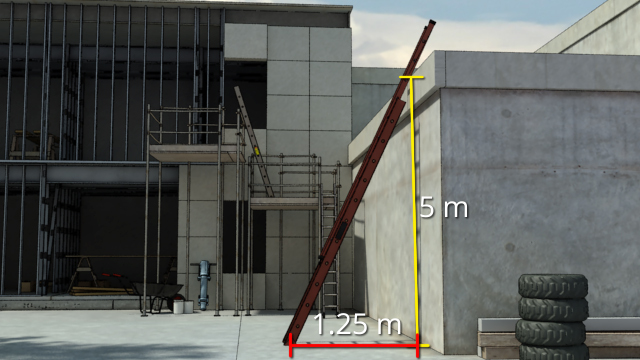 Calculating the proper length of a ladder. This course is intended for Canadian-based companies and individuals and meets Canadian regulations. Ladders are tools commonly used to gain access to higher levels that are otherwise unreachable. 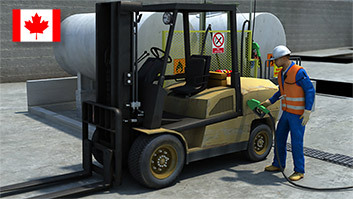 When maintained properly and used according to safety guidelines, they are a simple and effective tool. 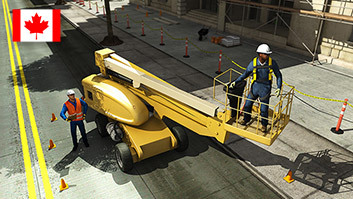 However, each year thousands of workers are either injured or killed in ladder related accidents. 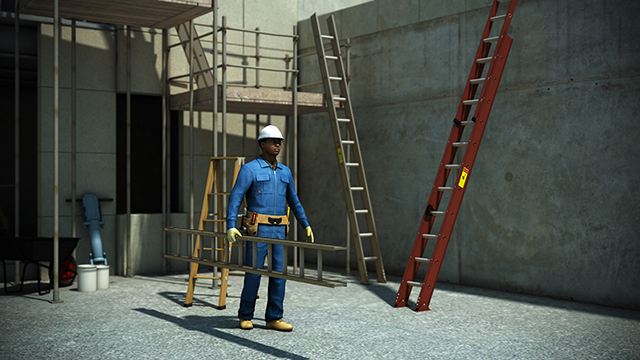 This course describes different types of ladders, as well as ladder construction, ladder selection, height requirements, weight capacity, hazardous conditions, inspections, ladder setup, safe practices when using ladders, storage, and maintenance. What are the different parts of a typical ladder? They usually consist of two side rails and are joined at regular intervals by crosspieces called steps or rungs. 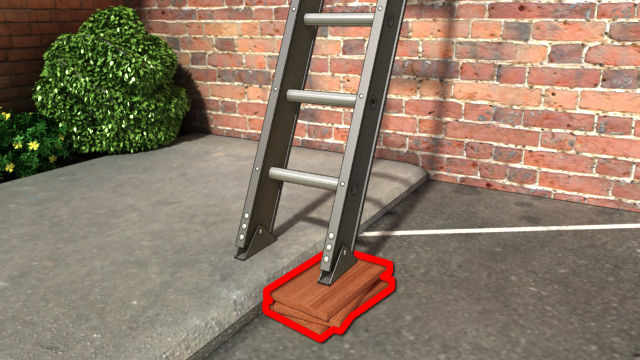 In general, ladders have very few working parts. However, extension ladders usually have pulleys, ropes, and ladder locks. In some cases, ladders may be equipped with roof hooks or adjustable feet to provide added stabilization..
Stepladders are self-supporting portable ladders that are not adjustable in length. They are commonly used in areas where items need to be reached but there is not an accessible structure to provide ladder support. What is a straight ladder? Straight ladders are portable ladders that are not self- supporting. They are made of a single section that is not adjustable in length. 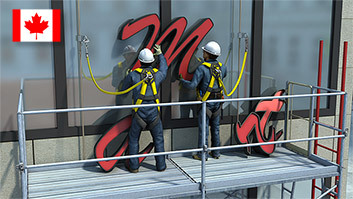 They are used to reach items on a structure that is providing the support for the ladder. Extension ladders are also not self-supporting ladders. They consist of two or more sections traveling in guides to allow height adjustment. The sections can be adjusted with pulleys, halyards, and ladder locks. Extension ladders are used like straight ladders, but allow for greater heights to be reached. What is a fixed ladder? 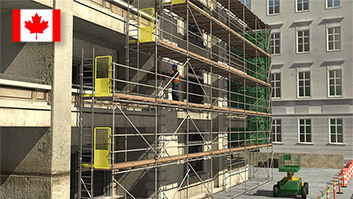 Fixed ladders are straight ladders that are permanently fixed to a building structure or piece of equipment. These ladders may have additional structures attached, including rest platforms, cages, or wells. When selecting a ladder, thoroughly inspect your job site for hazards, like exposed electrical equipment or power lines. If any electrical hazards exist in the working area, choose a non-conductive ladder, being a wood or reinforced plastic ladder. 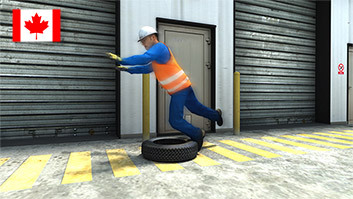 Maintain at least 3 meters of clearance from the hazard at all times. If you suspect that a structure may not be stable enough to support a leaning straight ladder then choose a self-supporting stepladder instead. Also, never use a stepladder as a straight ladder by leaning it against a supporting structure. Stepladders are not designed to function in this manner.